The NPT-type thread is a feature of the Master Sweep chimney brush head with an 8 inch x 12 inch rectangular shape. This brush head Features the newer TLC-style torque lock connector. The tough, durable flat wire bristles are used to scrape glazed creosote before brushing on a creosote cleaning solution which is purchased separately from the brush. 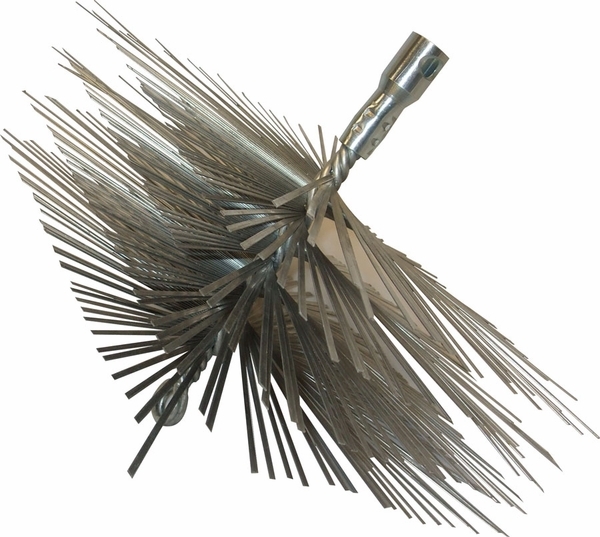 The Master Sweep flat wire brushes are designed to used for top down chimney cleaning from the roof.